Today is El Día de los Niños/El Día de los Libros also known as Children's Day/Book Day. For the annual April 30th celebration, both the Reading Rockets and Colorin Colorado Web sites are offering suggestions for library and classroom activities. The Association for Library Service to Children also lists Día events around the country. As the national home of Día, one of the things ALSC does is to provide a database where people can enter their Día events and/or see what else is going on near them and anywhere in the nation. It's wonderful to see everything that's going on, and to see how this initiative, originally conceived by Pat Mora, with REFORMA as a founding partner, has caught on and grown in the past 12 years. In addition, Pat Mora, the Grande Dame of Día has established her own blog now-- ShareBookJoy-- which is a wonderful resource on Día and so much more. Pat is a gem and a giant, a force to be reckoned with, and an author, poet and advocate with a gift for storytelling AND empowerment. Be sure to check out her Web site, too. I’ve saved you a spot. From: Lowe, Ayana. Ed. 2008. 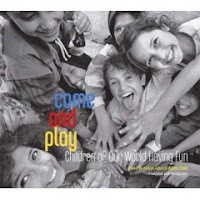 Come and Play; Children of Our World Having Fun. NY: Bloomsbury. It begs for imitation—gathering photographs from family, magazines, or the Web to prompt children’s own writing, and then creating their own collective books of poetry and pictures. Picture credit: http://sharebookjoy.blogspot.com and Amazon. Most states celebrate Arbor Day at some point in April, although the actual date varies somewhat. Arbor Day was started in Nebraska by J. Sterling Morton. Morton missed the trees he had known when he lived in Detroit, so he decided to start planting trees at his new home. In honor of the day, here’s a “tree” poem by Aileen Fisher. It’s time to plant a tree, a tree. What shall it be? What shall it be? a pine is green the whole year long. to shade us from the summer sun. there’s nothing like a cherry pie! where robins find a nesting place. with flowers in spring and fruit in fall. a lighted outdoor Christmas tree. in winter, summer, spring or fall. why not plant them ALL? From: Hopkins, Lee Bennett, Ed. 1992. Ring Out, Wild Bells: Poems About Holidays And Seasons. San Diego: Harcourt Brace Jovanovich. 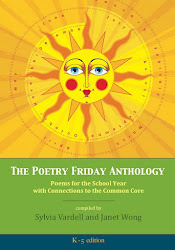 *Invite the kids to cheer the words "Let's plant" at the beginning of each stanza; with practice, pairs of kids can each read aloud their own stanza; or create a paper version of pine, maple, cherry, elm, apple, fir and other trees mentioned in the poem and use them as "props" for the read aloud. And for a listing of more "tree" poems, check out my entry for April 22, 2007. 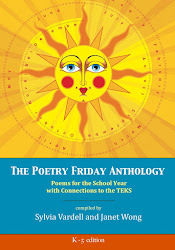 Picture credit: media.collegepublisher.com and thanks to Nora Sanchez for poem-finding. Every year brings new collections of Mother’s Goose rhymes—some re-envisioned in modern contexts, others harkening back to a more classic interpretation. Ruth Sanderson’s new collection falls into the latter category, and offers a pretty, romantic backdrop of illustrations for an extensive gathering of nearly 70 nursery rhymes, plus a handful of poems with poets attributed (like “The Purple Cow”) that all fit together beautifully. An introduction provides interesting background information on Sanderson's selection and illustration process, and reminds us that “repeating the verses makes learning to speak a great game.” Thus, Sanderson has featured rhymes simply and directly with single stanzas and colorful illustrations that make the verses accessible and memorable for the very young child. Images of children in pinafores and knickers alongside delicate fairies and whimsical trolls, in settings of inviting meadows and forests, add a quaint and magical element. I probably don’t have to share a sample Mother Goose rhyme since these are so widely familiar, but I was pleased to find a new “Mary” rhyme to accompany the familiar “Mary had a little lamb.” At least, it was new to me! From: Sanderson, Ruth. 2008. Mother Goose and Friends. New York: Little, Brown, p. 56. I’m a lazy fan of baseball, I’ll admit. I love going to games, enjoying the slow pace, soaking up the ambience, cheering with the crowd, enjoying the junk food, but I don’t follow the sport very seriously and have a slim grasp of stats and plays. Nevertheless, I enjoy seeing the sport celebrated in poetry, too. I posted a lengthy baseball-themed entry last year (April 27, 2007 Baseball in poetry) with a list of poetry books on the topic of baseball. This year I’d like to highlight a new book out this spring: Beanball by Gene Fehler. It’s a small novel in verse told through the points of view of 28 people, both players and others, all centered around a gifted player who endures a catastrophic injury. Here’s one teammate’s description of our hero at the beginning. ‘cause he’s a wizard with the mitt. Hey, I’d even have a few fingers left over. like a piece of fuzz to a sweater. who can play the outfield better. Unfortunately, Luke is hit by a “beanball,” a pitch that goes wild, hits him in the head, and causes a life-threatening injury. The narrative that unfolds weaves together the remainder of the baseball season with Luke's slow recovery process to create a riveting story, reminiscent of Mel Glenn’s verse novels, such as Jump Ball: A Basketball Season in Poems. How each character views his or her relationship with baseball and with Luke himself shifts and evolves believably, and ‘tween and teen readers will find it realistic and compelling. On this date in 1901, New York became the first state to require license plates for cars. Each plate carried the initials of the car’s owner and cost $1. In honor of this occasion, I have a not-yet-published poem by Janet Wong to share with her permission. She was kind enough to write the following poem for my “Everyday Poetry” column for Book Links magazine scheduled to be published in July. When I asked her if I could post it, she suggested I share some of the different versions she went through as she revised the poem and we dialogued back and forth about it. What a great idea and such a generous gesture! So, this is for all of you who work with children—who, in my experience, are often shocked and surprised to see that adults don’t create perfect poems in single drafts. Showing them the PROCESS of writing can be helpful and eye-opening. Here are SEVEN, count ‘em, seven versions of Janet’s poem about the age-old favorite car game, the License Plate Game. And see what you can say. say, it’s Really Burger Time! lets you steer the driver’s mind. the License Plate Letters Game. with the License Plate Game. Or what about a Rest Stop Now? words to steer the driver’s mind. why not try The License Plate Game? Play the License Plate Game! it’s time to try the License Plate Game. you play. Three words? OK.
words to steer the driver's mind. don't forget: The License Plate Game. the LPG will rescue you! Thank you, Janet, for writing and sharing your poem and your poetry writing process! For more poetry gems, check out the Poetry Friday Round Up at The Miss Rumphius Effect. The first American newspaper, the Boston News-Letter, was published by John Campbell, a postmaster, on this day in 1704. I wrote about this last year (April 24, 2007) along with describing one of my favorite poem-creating activities: “found” poems. So, it’s time to make another poem-newspaper connection. Here’s a fun poem from a new collection by J. Patrick Lewis, The World’s Greatest: Poems, illustrated by Keith Graves (San Francisco: Chronicle Books, 2008). The BANNER world’s a 3-inch square! From: J. Patrick Lewis, The World’s Greatest: Poems, illustrated by Keith Graves. San Francisco: Chronicle Books, 2008, p. 13. *Kids may want to create their own miniature newspapers, books, or poems. Or, they can explore other Guinness records and create poems to highlight the details. 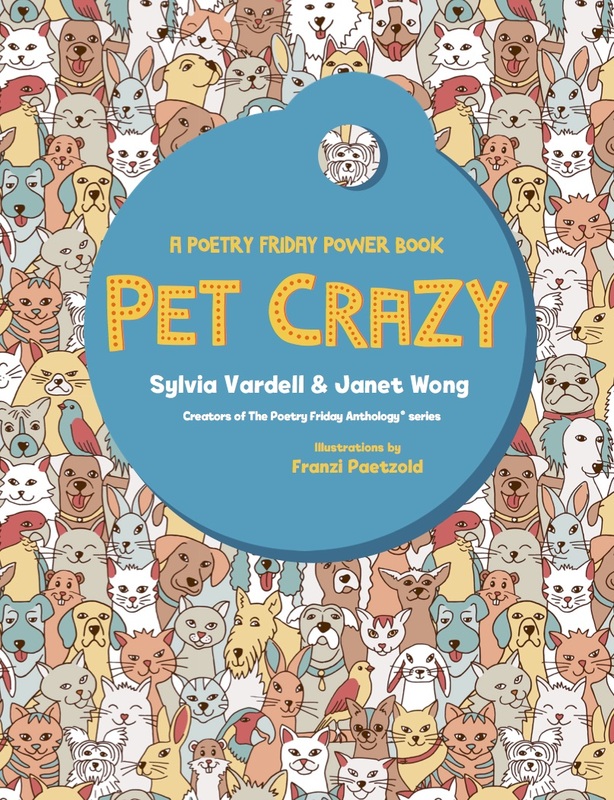 These 25 poems are inspired by various facts and factoids from the Guinness Book of World Records and focus on the odd and unusual detail that kids find so fascinating. These are not poems about the fastest runner or the strongest lifter. No, here we encounter the stone skipping record and the most live scorpions eaten by a human. Crazy, but true! And Lewis turns each statistic into a humorous poem in a variety of poetic forms. Keith Graves’ illustrations are the perfect match, giving each poem an even zanier twist. And if you like this collection, look for Lewis’s A Burst of Firsts; Doers, Shakers, and Record Breakers (New York: Dial, 2001), another fun poetic tribute to the weird and wonderful. Among all the other month-long celebrations, April is also National Garden Month with people planting and pruning all around me. Since we moved into this home last December, we are working to get the landscaping renewed and refreshed—watering and fertilizing and planting perennials. We put in a whole new lawn in the backyard where a large shade tree had killed all the grass (and we’re cutting the tree back a bit, too, of course). One of my favorite parts of this process is walking barefoot on the new, soft, cool lawn (of St. Augustine grass). Going barefoot is such a treat in childhood—freeing and often forbidden (unless you can't afford shoes-- which is another story). 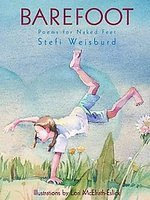 A new poetry collection celebrates those barefoot feelings and experiences: Barefoot; Poems for Naked Feet by Stefi Weisburd, illustrated by Lori McElrath-Eslick (Honesdale, PA: Wordsong/Boyds Mills Press, 2008). It includes 27 poems in a variety of forms with appealing watercolor illustrations expanding each one. Many of the poems address the fun, obvious aspects of feet at play, in babyhood, in shoes, jumping, dancing, walking, at the beach, in the pool, plus footrubs, pedicures, and even Mehndi painting. What a fun example of a topic that children can explore in concrete ways from multiple perspectives. From: Barefoot; Poems for Naked Feet by Stefi Weisburd, illustrated by Lori McElrath-Eslick. Honesdale, PA: Wordsong/Boyds Mills Press, 2008, p. 27. This is Stefi’s first book for young people, although she has published much notable poetry for adults. Watch for more from this fresh voice. Adoff, Arnold. 1979. I am the Running Girl. New York: Harper & Row. Cole, Joanna, comp. 1989. Anna Banana: 101 Jump-Rope Rhymes. Illus. by Alan Tiegreen. New York: HarperTrophy. Creech, Sharon. 2004. Heartbeat. New York: HarperCollins. Dotlich, Rebecca Kai. 2003. In the Spin of Things: Poetry of Motion. Honesdale, PA: Wordsong/Boyds Mills Press. Grimes, Nikki. 2000. Shoe Magic. New York: Orchard Books. Mayo, Margaret. 2002. Wiggle Waggle Fun: Stories and Rhymes for the Very Very Young. Cambridge, MA: Candlewick. McCord, David. 1999. Every Time I Climb a Tree. New York: Little Brown. Wolf, Allan. 2003. The Blood-Hungry Spleen and Other Poems About Our Parts. Ill. by Greg Clark. Cambridge, MA: Candlewick. Wong, Janet. 2007. Twist: Yoga Poems. McElderry. Try going barefoot again this month! It’s Earth Day and everyone is going green! It’s nice to see this become a “trend,” but I hope we can translate our current fascination into real, lasting action. In honor of the day, I would like to feature a new poetry collection with a focus on the Florida Everglades. It’s The Seldom-Ever-Shady Everglades; Poems and Quilts by Sue Van Wassenhove (Honesdale, PA: Wordsong/Boyds Mills Press). It’s a dynamic picture book poem collection with 17 poems set in the Florida Everglades and accompanied by quilts created by the poet with rich colors and textures. The poems focus primarily on the birds native to this setting, including several different kinds of heron, the cormorant, egret, mockingbird, and anhinga, with brief informational captions provided. 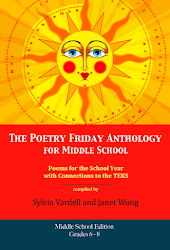 The poems themselves are rich in information, too, with facts incorporated into rhyming and rhythmic verses. My favorite? The “Professor Heron,” of course! Sue’s Web site reveals more about her influences and interests, including a talent for making Ukranian Easter eggs, Swiss paper cuttings, and designing beadwork. Her eye for detail and line shows itself in her quilt illustrations, too. In her presentations, she can address the topic of poetry writing, or the Everglades, or the art of turning photographs into quilts. Such diversity! And for more on the habitat of the Everglades check out the national park Web site. Everglades National Park is the largest subtropical wilderness in the United States. The area boasts rare and endangered species, such as the American crocodile, Florida panther, and West Indian manatee. It has been designated an International Biosphere Reserve, a World Heritage Site, and a Wetland of International Importance, in recognition of its significance to all the people of the world. According to the Web site, Recess, this month we also celebrate Kindergarten Day, in honor of Friedrich Froebel who was born on April 21, 1782, and who started the first Kindergarten in Germany in 1837. The school was built upon a series of innovative principles that used the innate curiosity and interests of children to guide them to see what Froebel believed to be the harmonious, interconnectedness of all things -- through song and play (which was unheard of in earlier schools); daily lessons in drawing, design, and other artistic activities; and learning through active doing and close contacts with the natural world -- many of the kindergartens actually had real gardens attached to them that the children tended and in doing so, Froebel believed, cultivated their own inner lives. I attended kindergarten in Germany, long before I knew the connection between Froebel, Germany and kindergarten. This just happened to be where my grandparents lived and where we were staying when I was 5. What are my memories of kindergarten? My best friend’s name was Christina and when I received a beautiful doll that Christmas, I named the doll after her. (I still have that doll!) I remember the annual Christmas program and singing carols in German by candlelight. I remember being scolded for being too loud and giggly (a recurring theme throughout my life!). I remember being equal parts exhilarated and intimidated by this new setting and experience. Kindergarten is such a big step for the young child. A step away from home and into the world of others—without the comfort of family beside you. Here’s a poem to celebrate this momentous life experience. From: Calmenson, Stephanie. 2005. Kindergarten Kids: Riddles, Rebuses, Wiggles, Giggles, and More! New York, NY. HarperCollins Publishers. *This poem begs to be read with pantomimed motions and expressions: sleepy, sniffly, jumpy, grumpy, silly, happy, listening, learning. Brainstorm which gestures and expressions to use together and then re-read the poem with accompanying actions. *To follow up: Kids can discuss their first day of kindergarten. Was it a positive or negative experience? Were they happy or sad, excited or afraid? What about other memorable days or experiences in kindergarten? Any fun photos or drawings to share? Before any human, art was made. *Invite kids to join in on the repeated line as you read it aloud. 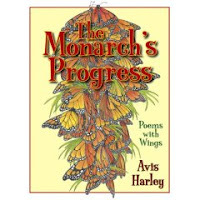 Avis Harley’s poetry writing is characterized by its diversity and experimentation. She enjoys trying poetry in all its different formats and is adept at demonstrating poetic form for children. Her first collection Fly With Poetry: An ABC of Poetry (Wordsong/Boyds Mills Press 2000) includes twenty-seven original short poems, generally one for each letter of the alphabet such as acrostics, blank verse, cinquain, etc. In addition, a brief definition of the form is provided as a caption at the bottom of each page. Fourteen additional poetic forms are shared in the back of the book. 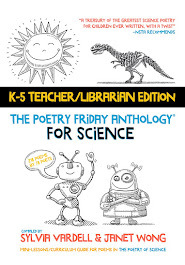 This is a tremendous resource for children who want to try their own hands at creating poetry. Harley’s poem examples are brief, vivid, and clear. Harley has a second volume of poetry organized around the same alphabet theme, Leap Into Poetry (Wordsong/Boyds Mills Press 2001). In this book, she provides 26 poems about insects, each demonstrating another poetic form or literary term, such as "jargon" or "karanamala." Once again, each term is also defined in a single line across the bottom of the page. Avis Harley used color photographs as the centerpiece for her book Sea Stars: Saltwater Poems (Wordsong/Boyds Mills Press 2006) illustrated by Margaret Butschler. Each of these 27 poems was inspired by a photograph of a sea creature, and again Harley incorporates a variety of poetic forms–including rhyming couplets, haiku, tanka, and nursery rhyme parody. The poems are brief, well-crafted and clever, full of wordplay and accompanied by exquisite images. Brief endnotes provide additional information about each sea creature. For playing with form and language, Avis Harley is a poet to watch! What fun! What variety! The different voices, styles, and approaches helped the audience see the tremendous range of poetry available for young people today. PLUS, the experience of HEARING poetry was moving and exhilarating. People stopped me throughout the rest of the conference to tell me how much they had enjoyed the session. One woman said, and I’m paraphrasing, “I loved just soaking up the words of the poets, sitting back and taking it all in. 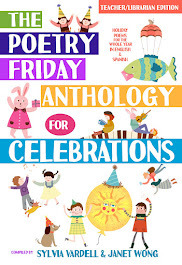 But I also realized that I was getting ideas about how to share the poems with kids, how to connect the poems with various activities, and get kids involved.” EXACTLY! We spend so much time at conferences attending informational sessions, learning new strategies, networking, etc. But so little time just reveling in literature, hearing the lyrical language of literature, remembering what motivates us all to work as librarians and teachers—sharing our love of literature with kids and hoping they’ll love it too. And in my experience, nothing captures that quite so well as experiencing the literature firsthand through reading and listening—especially to literature read by the creator. It’s primal! I’m proud to say we’ve brought 26 poets to Texas over the last four years including: John Frank, Juanita Havill, Alan Katz, Linda Sue Park, Adam Rex, Jaime Adoff, Tony Crunk, Rebecca Kai Dotlich, Charise Mericle Harper, Heidi Zingerline Mordhorst, Eileen Spinelli, Marilyn Singer, Calef Brown, Felipe Herrera, Kathi Appelt, Nikki Grimes, Stephanie Hemphill, Carole Boston Weatherford, Walter Dean Myers, Joyce Sidman, Quincy Troupe, Lee Bennett Hopkins, Janet Wong, Kurt Cyrus, Pat Mora, Susan Pearson. What an embarrassment of riches! Each voice has been a delight. I encourage you all to seek out poets and poetry and share them OUT LOUD with kids you care about. There’s nothing quite like it. It’s like a rock concert experience, a night at the theater, or meeting the President (any president!). Some of the most interesting literature for children today can be found in poetry-- from humorous rhymes to verse novels. How do we create a welcoming environment for poetry? Poet and teacher Georgia Heard put it this way, “Kids need to become friends with poetry…. They need to know that poems can comfort them, make them laugh, help them remember, nurture them to know and understand themselves more completely” (1999, p.20). This session helped participants become familiar with some of the best poets writing for young people today with a panel of acclaimed poets sharing favorites from their own work through reading aloud or performance. Modeled after the “Poetry Blast” session first sponsored by ALSC at the 2004 ALA convention, this session reminds us all of the pleasures to be found in the spoken word. Look for it again next year at TLA in Houston—and in Anaheim at the ALSC Poetry Blast on Monday, June 30. See you there! How about some poetry about laundry? the dryer is a crook. the one the dryer took. because it craves a treat. From: Rosenthal, Betsy R. 2004. My House is Singing. Illus. by Margaret Chodos-Irvine. San Diego: Harcourt. As we say in Texas—who’da thunk it? Poetry about laundry?! Celebrate the first national Poem In Your Pocket Day today, April 17. 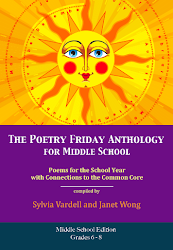 The idea is simple: choose a poem during National Poetry Month to carry and share with friends, co-workers, family, even strangers on April 17. Get ideas for creating your own Poem In Your Pocket Day event, and or browse for the perfect pocket poem. Today is also Support Teen Literature Day. Readergirlz and YALSA have organized Operation TBD (Teen Book Drop): a massive, coordinated release of 10,000 publisher-donated YA books into the top pediatric hospitals across the country. You can celebrate Support Teen Lit Day, too. Start by downloading a readergirlz/YALSA bookplate for Operation TBD (Teen Book Drop) that you’ll find at the readergirlz Web site along with booklists and bookmarks. Then drop a Book! Leave one copy of a YA book on April 17th in a teen gathering spot in your community. Place it where the book will be found, taken, and read (i.e. a coffee shop, the park, a community center, a bus stop.) And make sure you've placed an Operation TBD bookplate inside. Celebrate at the TBD Post Op Party: Party with readergirlz and YA authors on their online two-hour book bash hosted at the readergirlz MySpace forum, on April 17th from 6-8pm PDT / 9-11pm EDT. Win books and prizes, chat with other book lovers, and celebrate literacy. Final tidbit: Readergirlz selected Kelly Bingham's book Shark Girl to celebrate Operation TBD and National Poetry Month. Her novel in verse chronicles a girl's life after a shark attack and her loss of an arm. Readergirlz will host a LIVE chat with Kelly (the author) on April 24th, at 6:00 p.m. PDT / 9:00 p.m. EDT. This unprecedented teen literacy program, coined “Operation TBD”, will put free books—altogether valued at more than $175,000—donated by 20 book publishers into the hands of many of the teens most in need of solace, entertainment and a sense of personal accomplishment. After all, long-term hospital stays can be difficult on many levels—for teenagers and their families. Justina Chen Headley, co-founder of readergirlz and award-winning novelist, wanted to find a way to support teen patients going through such difficulties through a massive book drop. “While touring my local children’s hospital to research my novel, Girl Overboard, I couldn’t help noticing that teen patients didn’t seem to have the comfort objects that the little ones did,” she said. “As an author, I knew that YA books—books with exceptional characters and fabulous stories—could provide teen patients with some of the escape and inspiration they needed. 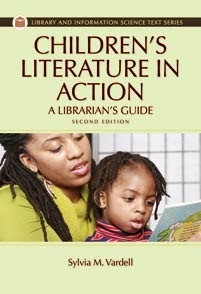 And I knew that readergirlz and YALSA were just the groups to spearhead a teen literacy program of this magnitude. His first children's book was illustrating The Dirty Cowboy written by Amy Timberlake published in 2003, followed by several in the Lucy Rose series by Katy Kelly. In just a few short years, he has written and illustrated almost a dozen works, including his recent poetry collection, Frankenstein Makes a Sandwich, a New York Times bestseller. School Library Journal said "The book is fresh, creative, and funny, with just enough gory detail to cause a few gasps. Kids will eat it up." And Kirkus gave it a *starred review*, saying "Readers will relish every gross and hilarious entry in this monstrous menu of misadventures. Here’s a read-aloud candidate sure to elicit loud screams--but not of fright." the Phantom throws a tantrum. The song won’t die—he doesn’t know why. Ciardi, John. 1966. The Monster Den; or, Look What Happened at My House --and to It. Philadelphia: Lippincott. 1991. Reprinted: Honesdale, PA: Wordsong. Hopkins, Lee Bennett. 1977. Monsters, Ghoulies, and Creepy Creatures: Fantastic Stories and Poems. New York: Albert Whitman. Prelutsky, Jack. 2001. Awful Ogre’s Awful Day. New York: Greenwillow. Prelutsky, Jack. 1999. The Gargoyle on the Roof. New York: Greenwillow. Prelutsky, Jack. 2000. Monday’s Troll. New York: HarperTrophy. Sierra, Judy. 2005. Gruesome Guide to World Monsters. Cambridge: Candlewick. Sierra, Judy. 2001. Monster Goose. San Diego: Gulliver Books. Sierra, Judy. 2006. Thelonius Monster's Sky-High Fly-Pie. New York: Knopf. Who knew there were so many poetry books about monsters? This week is also National Library Week (April 13-19)! First sponsored in 1958, National Library Week is a national observance sponsored by the American Library Association. And of course, I have to share a library poem (perhaps my favorite topic of all). This time, I’m lucky enough to have a new, original poem to share from the always generous and prolific, J. Pat Lewis. Enjoy! After school one day I was talking to Mr. Zone. Oh, I forgot. ABECEDARIAN. Look it up." Used with permission from J. Patrick Lewis. I love this ABC connection, don’t you? Paul Janeczko writes about this poetic form in Poetry from A to Z: A Guide for Young Writers (New York: Bradbury, 1994). I have posted about the link between the ABCs and poetry before on April 21, 2007, last year. Just as a refresher, here are some poetry collections that are organized alphabetically ala the dictionary. Harley, Avis. 2001. Leap into Poetry: More ABCs of Poetry. Wordsong/Boyds Mills. Do you know of any other alpha-poems or alpha-poem collections? Visit your library during library week and let me know if you find any! 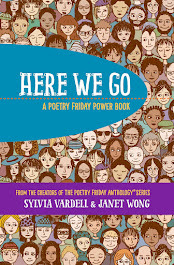 This third week of April was designated as Young People’s Poetry Week (by the Children's Book Council), so I’m tickled that my TLA Poetry Round Up occurs this week. One of the panelists for our Round Up is the up-and-comer Tracie Vaughn Zimmer. A former teacher of kids with special needs, and the author of many teaching and discussion guides for books by other writers, Tracie grew up in Ohio with a twin sister and a big family. Early teachers encouraged her writing and she published her first book, a poetry collection, Sketches from a Spy Tree, in 2005, a New York Public Library Best Book. Tracie’s newest poetry book, 42 Miles, is about a girl who is turning thirteen and lives a life divided between her city apartment with her mom and the family farm with her dad. Tracie’s first work that is not poetry is also debuting this year, A Floating Circus, a historical novel set on a circus boat in the 1850's. What diversity! From Zimmer, Tracie Vaughn. 2007. Reaching for Sun. Bloomsbury (p. 175-176). April 13 is supposedly Scrabble Day, one of my favorite word game/board games. Scrabble was created in 1938 by Alfred Mosher Butts. For a fun poetry connection, see how Mike Keith has used the scrabble squares to create a poem: A Scrabble®-Tile Anagram Poem by Mike Keith (2000). Even more importantly, April 13 is Lee Bennett Hopkins’ birthday. Happy birthday, Lee! He has been the focus of discussion on the CCBC listserv recently as we’ve considered his enormous contributions to the field of poetry for young people. Check out my April 13 posting from last year for more information about Lee, his life, and his work. This year I’d like to talk about his latest anthology, America at War. It’s a beautiful, moving collection with more than fifty poems and paintings divided into eight sections featuring each “American” war, from the American Revolution to the Iraq War. 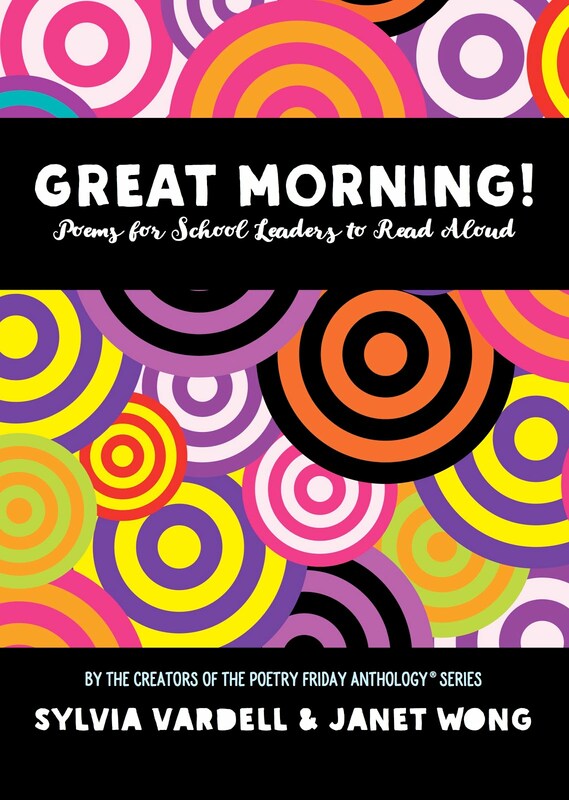 Classic poems by the likes of Walt Whitman and Carl Sandburg appear alongside contemporary voices such as Rebecca Kai Dotlich and Georgia Heard. From Hopkins, Lee Bennett, comp. 2008. America at War. New York: Margaret K. McElderry. Hopkins, Lee Bennett, comp. 1999. Lives: Poems about Famous Americans. New York: HarperCollins. Hopkins, Lee Bennett, comp. 2000. My America: A Poetry Atlas of the United States. New York: Simon & Schuster. Hopkins, Lee Bennett, comp. 2002. Home to Me: Poems Across America. New York: Orchard. Thank you for your continuing contributions to children, reading, and poetry, Lee! You may have heard of Linda Sue Park. She picked up a little thing called the Newbery Award for her book, A Single Shard, a historical novel set in twelfth-century Korea. But for the upcoming Texas Library Association Poetry Round Up she dons a different hat, that of poet. But first, a bit of background info. She was born in Illinois, is a Stanford grad, married an Irishman, is the mother of two, worked as a journalist and teacher, and is an avid reader, reviewer and blogger. Her previous works include: the novels: Seesaw Girl, The Kite Fighters, When My Name Was Keoko, Project Mulberry, Archer’s Quest, the unique collaboration Click, and her latest book, a "sports" novel set in 1950’s Brooklyn, Keeping Score. She also has several picture books to her credit including The Firekeeper’s Son, Bee-Bim Bop, and Yum! Yuck! From: Park, Linda Sue. 2007. Tap Dancing on the Roof; Sijo Poems. Clarion. from Merriam, Eve. 1992. The Singing Green: New and Selected Poems for All Seasons. New York: HarperCollins. From Nye, Naomi Shihab. comp. 1998. The Space Between Our Footsteps: Poems and Paintings From the Middle East. New York: Simon & Schuster. What are your favorite poems about poetry? cutting me down to size. Check out my previous posting on April 29, 2007 for Children’s Poetry for National Garden Month for more poetry books about gardens and gardening. 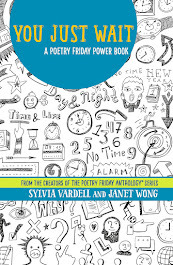 For even more poetry connections, go to the Poetry Friday Round Up hosted by Cloudscome at A Wrung Sponge. Take Me Out of the Bathtub. Margaret K. McElderry, May, 2001. I’m Still Here in the Bathtub. Margaret K. McElderry, April, 2003. Where Did They Hide My Presents? Margaret K. McElderry, October, 2005. Are You Quite Polite. Margaret K. McElderry, 2006.
but nobody made a bid. but not quite as hard as this. and maybe throw in our sis. Come to our Odyssey party!